I have been questioned by some as to which culinary school I attended and by others when I will attend culinary school. The answer is unyielding, "I have not attended culinary school and it is not in my foreseeable future." I have a son with autism. For those of you who know me, you are aware that I do not see this as a burden, but rather a blessing above measure. For me, it is not an option to pursue anything that will take me away from him. If my life's pursuits cannot fit in around his needs, then I abandon them. Culinary school would take me away from him, so it is not an option I will consider. Then we have the lack of funds. One of our decisions was that I would not work outside of the home in order to be able to teach him, which has benefited him greatly, though has cost us the "extras" in life. With no regret, I would make the same decision. However, what if a type of culinary school could come into the privacy of my home during hours of my choosing? What if Joanne Weir, world renowned cooking teacher, taught me many of her favorite techniques, both visually and verbally? Quite simply, I would be a fool not to jump on this amazing opportunity. Enter Joanne Weir's Cooking Class DVD set. I currently have Set 1 and Set 2. I have yet to get to Set 2, so this review is only about Set 1. Joanne Weir, has won prestigious awards, setting her apart from many chefs and teachers. 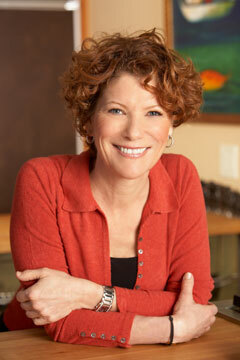 In fact, in 1996, she won the very first Award of Excellence as a cooking teacher (IACP) by Julia Child. Her cookbooks have won several coveted awards as well. Joanne Weir has such a delightfully pleasant personality. For each sequence she brings in average cooks to teach them new techniques. For me this is perfect. For my 9 year old son, who has a passion for cooking, her DVD does not explain some basics, taking for granted the cook knows a lot of terminology, etc. It works for us, because I watch it with him and can explain what is missing. With this said, I think even a new cook could benefit if one is willing to look up terminology on the Internet when unsure of the definition. Mediterranean cooking is Joanne's specialty, thus "Cooking Class" piqued my interest immediately. This set has 4 DVDs broken up into 26 cooking classes. One could benefit by preparing at least one of the dishes she teaches in each lesson. I must confess, that after viewing an episode, I feel thoroughly encouraged and confident that I can master the technique in my kitchen. Joanne does teach useful basics splattered in the midst of teaching a new dish. Such as how to chop an onion, how to whip eggs, cream, etc by hand, how to fold whipped ingredients into a recipe. My only improvement on her chopping an onion technique, is after slicing it in half in the taught manner, I place mine in cold water for a while to take away the "burning" sensation and thus, less tears when I continue in the slicing and dicing.